Surprise surprise, it’s another What I Ate Wednesday post! I know I’ve been doing a lot of these, but I’m working on some exciting posts for the future at the moment, and don’t want to leave you with nothing in the meantime. I’ve been enjoying my time at home these past few weeks. I genuinely love cooking and coming up with new recipes; it’s one of the things I miss most when I’m travelling. I’m off to Bali next week (which is vegan food HEAVEN I’m told, so look out for some food posts from there! ), so without further ado, here is what I ate on a average day in Singapore! I’ve been loving big smoothie bowls lately, with lots of toppings. This morning I went for a papaya and banana smoothie. 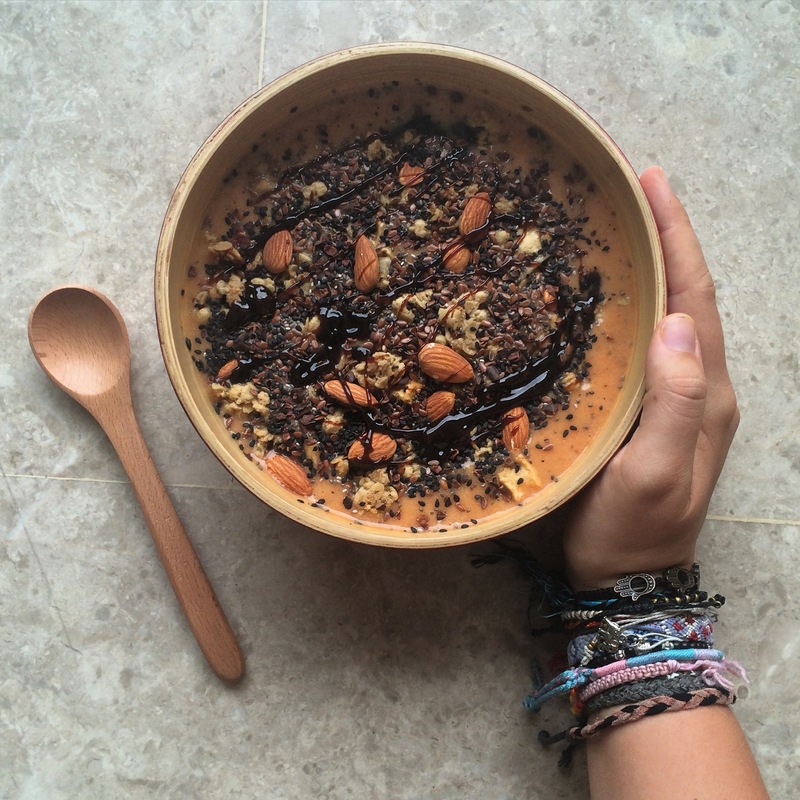 I topped it with granola, cacao nibs, chia seeds, black sesame seeds, almonds and apple syrup. A breakfast like this really fills me up, and energises me for the day. What’s the perfect accompaniment to your coffee? A vegan scone, of course! 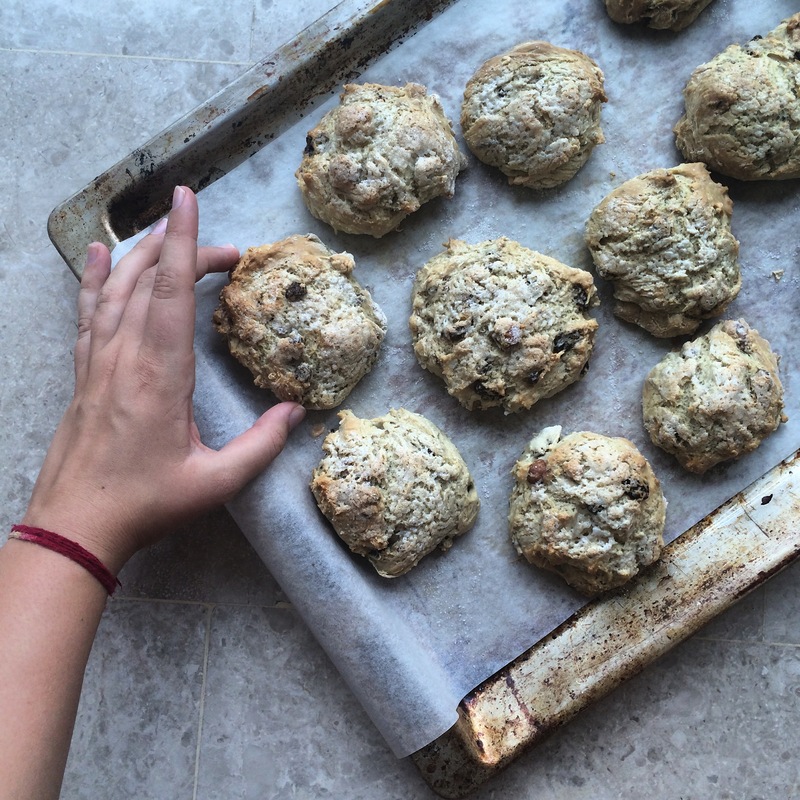 Find my recipe for the delicious baked treats here. I love having these with a bit of blueberry jam. As much as I love Singapore, it’s a bit too hot for my liking sometimes. Because of the heat I don’t crave hot food as much, and so instead I’ve been enjoying cold rice noodle bowls like the one above. 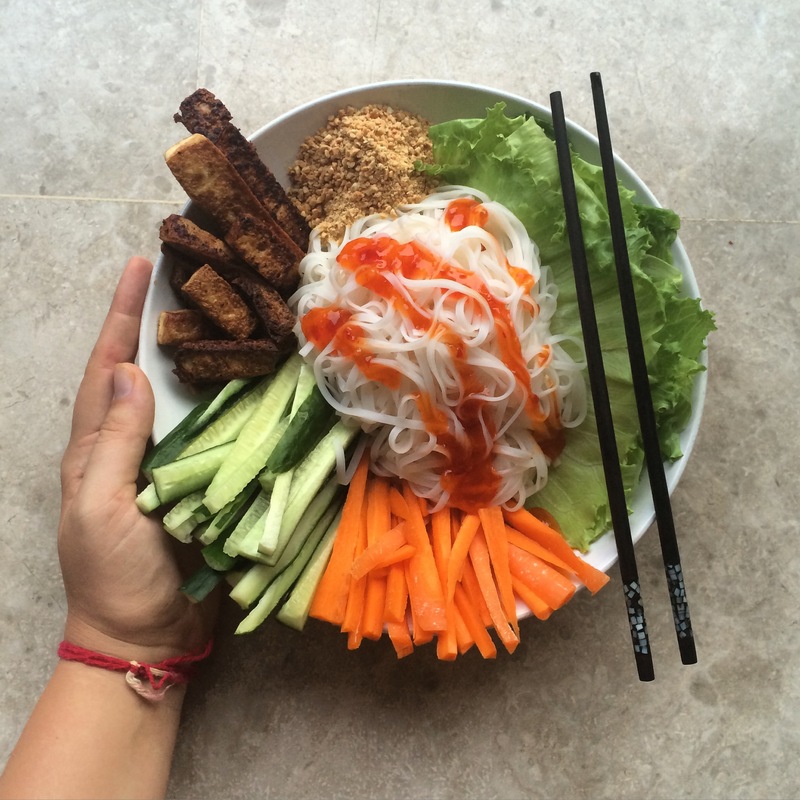 This time I paired it with lettuce, carrot, cucumber, fried tofu and chopped peanuts. Delicious, and super easy to make. Spaghetti bolognese; my all time favourite comfort food. Just substitute ground beef with lentils and you have a yummy vegan version. I enjoyed mine on a bed of baby spinach, and topped it with lots of nutritional yeast. 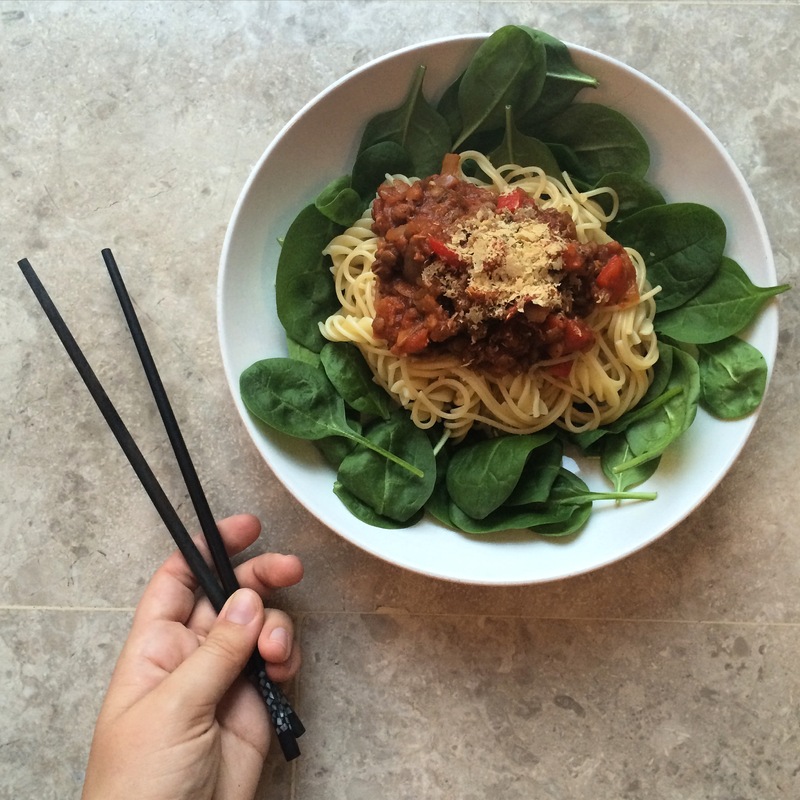 And yes, I eat my pasta with chopsticks, it the perfect utensil for this dish I swear! What your ultimate comfort food?